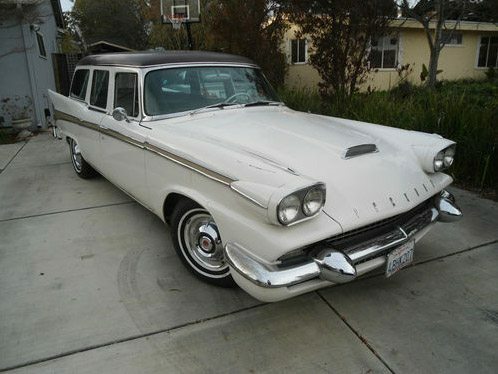 Three years ago we featured a very nice Ebay find 1958 Packard that failed to meet the reserve as biding reached $25,000. 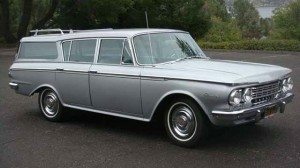 These end of the line Packards that are often called “Packardbakers” due the the merger of Packard and Studebaker can be tough to value as there are only an estimated 20 surviving examples out of the 159 that were manufactured. This Ebay find 1958 Packard wagon is an honest original driver that has a BIN of $13,500. So the question is if the market for a very nice example is 25K, does buying this one at $13,500 give you enough room to sink 10-12 grand into to bring it up to the standards of a 25K example? 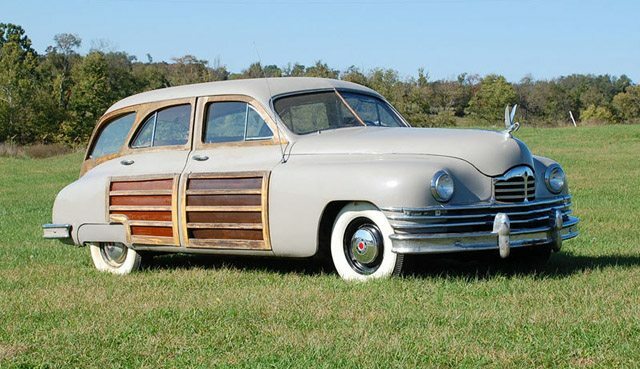 Officially named the Packard Station Sedan, this woody wagon Found on Ebay is a rare find. The current owners purchased the car 4 years ago with the intention of restoring it but haven’t had the time to complete the restoration. Some of the wood has been restored and is currently off the car. The body is described as rust free and the paint is believed to be original. The chrome is also described as being in good condition with nearly no pitting. Mechanically the Packard is said to start right up and drive well, although the gearshift mechanism could use a cleaning and lubrication. Production numbers are unknown for 1948 Packard wagons, but it is believed that 3,864 Station Sedans were produced from 1948 to 1950. Only 29 1949 models are in the Packard registry. Restored these beautiful Packards can sell for six figures. 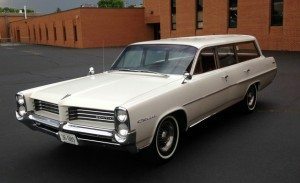 With the just concluded Barrett-Jackson auction in Scottsdale, Here are a few of the more interesting station wagons that crossed the block. The last few years of Packard were not good ones. 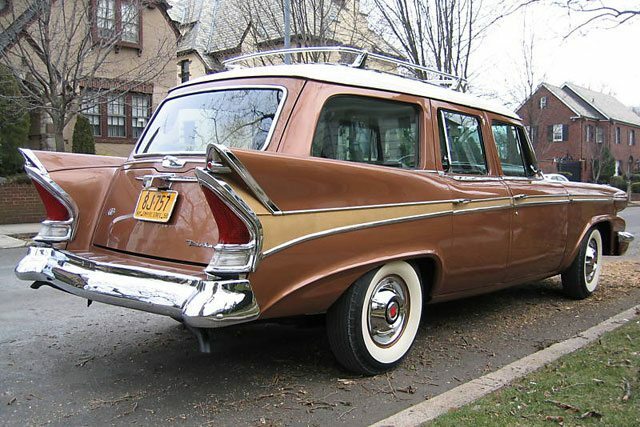 By 1957 all production had been moved to the Studebaker plant in South Bend and there was no budget for design. Designers had to be creative in trying to turn a Studebaker into a Packard. The result was odd to say the least. The budget was so low that cars weren’t even named. 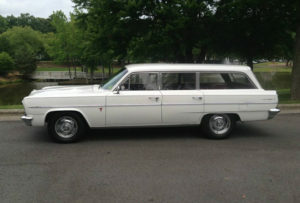 This one is just Packard Station Wagon. 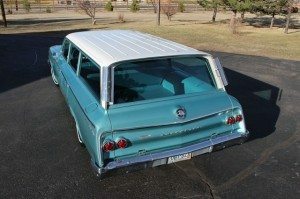 These Packards are very rare with only 2,622 models manufactured but the wagon was the rarest model with only 159 produced and only 20 remaining examples. Found on Ebay this Packard comes with A/C (not working) and a hideaway seat. A last gasp of air from the luxury car maker that only 30 years earlier was the best selling luxury make in America. Tail lights were from the 56 Clipper parts bin. Not to be out-finned, Packard designers grafted a second fin on top of the first.